App Builder Appy Pie: The voyage continues for Google Home as they expand their destination list to add seven more countries. This year, the smart speaker Google Home and the smaller version the Home Mini would be available now in Spain, Mexico, South Korea, the Netherlands, Sweden, Norway, and Denmark too! The residents of these countries too would be able to buy this Google Assistant enabled smart speaker easily. The smart speaker market in U.S. is dominated by Amazon with its Echo devices and it is expected that devices powered with Alexa would control 66.6% of the market in comparison to the 29.5% of Google Home. However, it is predicted by eMarketer that by the year 2020 Amazon’s share would drop down to 60.8% and Google’s share would increase to 32.9%. though there are reports from other reputed analysts like Canalys that indicate that Google may be on a faster road up and catch up sooner than later. This is the first time that Google’s smart speaker sales have managed to surpass that of Amazon’s on a quarterly basis. In spite of this positive piece of statistic, it is a fact that the range of Echo devices are available in far more locations as compared to the limited locations that Google Home is available in. this means that it is possible to buy Amazon’s smart devices can be bought in any one of the 80 different countries that it is available in, which is huge as compared to the 8 countries that Google’s smart speakers are available today. The defining disadvantage with these smart speakers is that Alexa is fluent only in three languages namely German, Japanese, & English. Google Assistant holds a distinct advantage here as it has proficiency in a great number of languages. A few months ago, Google’s AI based helper Assistant was proficient in 9 languages which has been expanded to a total of 16. The new additions include Korean, Indonesian, Hindi, Dutch, and some Scandinavian languages as well. This is especially relevant as it is only recently that Google Home Speakers were made available in some of these nations. Google claims that by the end of the year 2018, the number of languages that the Assistant would be proficient in would rise up to 30. What’s interesting is that Google has also extended its support to manufacturers who are now able to make good use of the SDK of Google Assistant in order to bring make Assistant available on the third-party hardware in 14 new countries. With these new developments, Google Assistant is gaining popularity and accessibility every day. 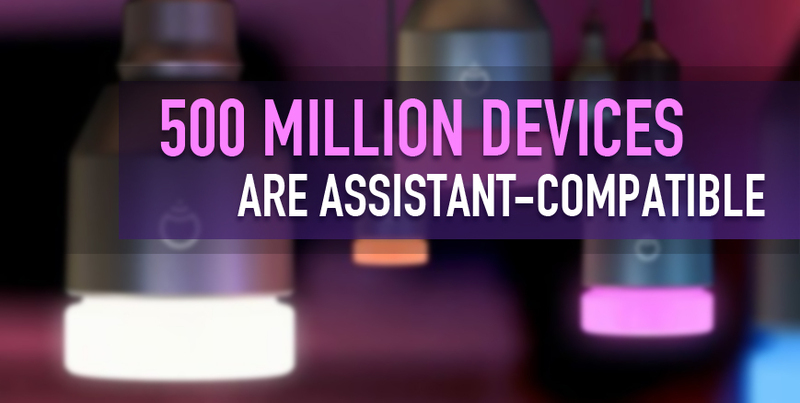 Today 500 million devices are Assistant-compatible which means that we would soon witness the emergence of a great number of new features from Google Assistant that would also include valuable contributions from independent developers. To demonstrate this, consider the recent announcement from Google that says developers would now be able to develop brand new features in their voice apps that’d include content like shareable links, built-in intents, & more. With all these newly added countries in Google’s list, did Google Home make it to your home?